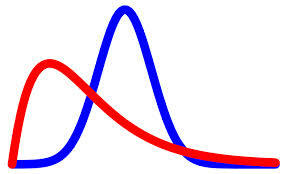 Bayesian approach has its own importance in Statistics and Analytics. It has also been used in defining new approach to forecasting. Oracle Demantra has come up with talk about how to combine the concepts of a priori and post priori understanding into a forecasting model. Generally most of the forecasting systems use the best fit model for forecasting and neglects other models. However in the Bayesian approach of Oracle Demantra the forecasting model is defined as a combination of different forecasting models rather than a single forecasting model. The forecasting model is defined asF = w1f1+w2f2+…+wnfn , where w1…wn are the different weights of different forecasting models f1, f2, ….fn . The Oracle paperat the link provides more details.